Sparrowling Press: YES, VIRGINIA. THERE REALLY IS A ROBIN. YES, VIRGINIA. THERE REALLY IS A ROBIN. We've been asked on a few occasions if our sparrow, Robin, is actually real. 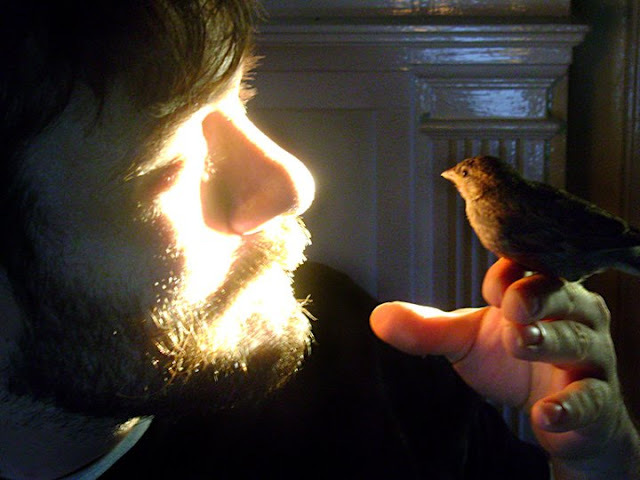 Some have thought that we write stories about an imaginary bird that lives in our house with us, since it's such a sweet idea that it couldn't possibly be real... right? Well, we promise that Robin is indeed very real, very sweet, very chirpy, and very much a part of the creation process for everything we do (and plan on doing!) with Sparrowling Press. After all, there couldn't be Sparrowling Press without a wee sparrowling, could there?